After completing a 200 Hour Yoga Teacher Training with Gyan Yog Breath, you will receive a Yoga Alliance Certification. 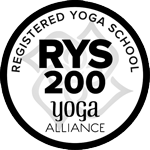 With this certificate, you can register as RYT200 and teach yoga anywhere in the world. You are then qualified to join our 300 Hour Yoga Teacher Training. After completing a 300 Hour Yoga Teacher Training with Gyan Yog Breath, you will receive a Yoga Alliance Certification. With this certificate, you can register as RYT500 and teach yoga internationally. After two years you will be an ERYT500 which brings further benefits. After completing a 500 Hour Yoga Teacher Training with Gyan Yog Breath, you will receive a Yoga Alliance Certification. With this certificate, you can register as RYT500 and teach yoga anywhere in the world. After two years you will be an ERYT500 which brings further benefits.